APR is perhaps best known for their aerodynamic aluminum and carbon fiber spoilers. Using their advanced race proven style of engineering, they also offer their APR Performance GT3 Carbon Fiber side view mirrors. Though sleek and attractive, they are also a practical performance upgrade that real world racers use for better times. Constructed of real carbon fiber, they are lightweight and have an aerodynamic design that reduces drag over your stock driver side mirrors for faster top speeds. Also, unlike some of the cheaply made plastic M3 style mirrors, APR Side View Mirrors have a billet aluminum mounting plate that has been carefully designed to fit flush with your vehicle. In addition, to help compensate for their small size, the mirror glass is convex allowing for a broader visible area than normal mirror glass. APR Formula GT3 Carbon Fiber Mirrors are sold in pairs and complete with all necessary mounting hardware. The Side View Mirrors offered on this page are designed to specifically fit a Mazda RX-7 produced during the following model years: 1993, 1994, 1995 or 93, 94, 95. Please also note any specific model notes on the product title at the top of the page. Same as picture,fast shipping,good packaging,Great Deal. Great! The APR mirror seems as good as the most expensive ones. Recieved the APR mirrors yesterday and they look great! Everything was great from ordering to install. 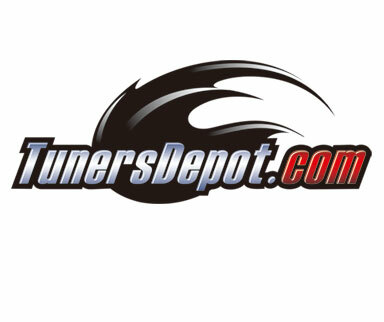 Thanks to Tunersdepot. Installation instructions would have helped for firt timers. It took me about ten minutes to install.